Don't worry, washing cloth diapers isn't as hard as it seems. If you're thinking about using cloth diapers, laundry probably won't be far from your mind. 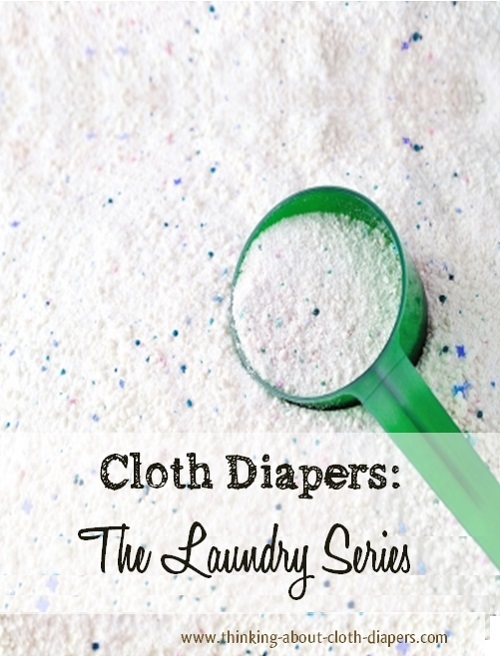 If you're worried about laundry, our laundry series will help you discover how easy it can be to wash cloth diapers. Honestly, cloth diapers are only as complicated as you make them. So, repeat after me: Cloth diapers don't have to be hard! If you can wash clothes, you can wash diapers, too! You know better than to believe everything you read on the internet, right? There's a lot of contradictory information available on the internet about cloth diapers, and unfortunately, cloth diaper laundry is one of the most discussed and disputed aspects. If there's anywhere you should do a little homework, it's in the area of detergents, washing routines, and hard water. We attempt to simplify these topics in our Laundry Series, and also point you to some great resources too! If you are a thorough person and want to know all the details up-front or if you've got a little bit of free time now, you can grab a cup of coffee and read our laundry section from top to bottom. If not, there's nothing wrong with learning what you need to know as you go! For your convenience, we've pulled together all of our articles on washing cloth diapers in one place. Tip: You may want to pin this page to one of your Pinterest boards or add a bookmark so you can find it later. And for your own sanity: When it comes to laundry, if it's working for you, please don't change it! Choosing a Detergent - Selecting the right detergent can go a long way to making your cloth diapering easier. This article outlines how detergents work, and sheds some light on why washing routines can be anything but routine! How to Store Your Diapers - Wondering what to do with your cloth diapers until you have a full load of washing? This quick article provides important information on how to store your cloth diapers, plus some helpful ideas on how to avoid stinky cloth diaper pail smells. 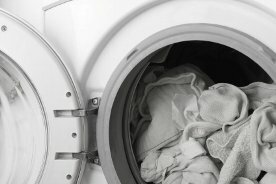 The Basic Laundry Routine - This article highlights a general cloth diaper laundry routine with instructions for front and top-load washers. Wool Dryer Balls - A great reusable and affordable option for softening your cloth diaper laundry since liquid fabric softener and dryer sheets both reduce absorbency. 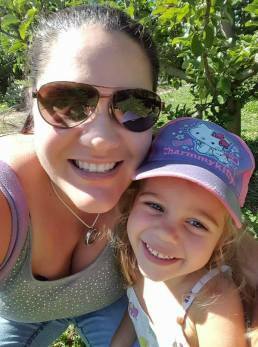 Off on the Right Foot: Prepping Your New Diapers - I learned the hard way that it takes several hot water washes to remove the oils in natural fabrics such as hemp, bamboo and cotton. Take a minute to read this article on how to prep your cloth diapers and you'll avoid the frustration of leaky diapers! The Stinkies: How to Strip Cloth Diapers - It's important that your cloth diapers are clean, because detergent residues can reduce absorbency or even cause diapers to repel, and urine residues will cause stinky diapers! Read on for more information on on how to fix odor issues, and also tips on how to avoid them. 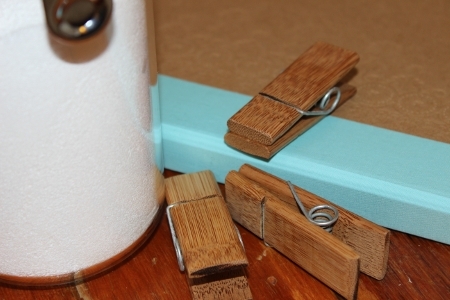 10 Helpful Laundry Tips - While issues do pop up now and then, these suggestions will help you simplify your laundry. If your biggest concern with cloth diapers is handling poop, the cloth diaper sprayer may become your most essential cloth diapering accessory! My cloth diaper sprayer has been a lifesaver! Also called a mini-shower, this spray wand hooks directly to your toilet, and is used to rinse poopy diapers into the toilet. This article provides more information on this handy invention. Pail liners are waterproof bags that are used to hold dirty cloth diapers until laundry day. You can get away without a lot of the cloth diaper bells and whistles; in this article we tell you why pail liners are practically a must-have cloth diaper accessory! 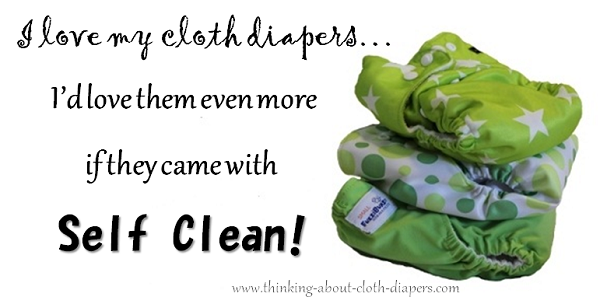 Are you already using cloth diapers and other reusable products? What about cloth wipes? While disposable wipes can be convenient, cloth wipes may be an easier switch than you realize! They're both convenient and eco-friendly. 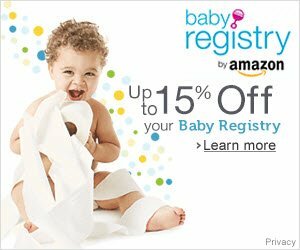 Plus, they are also soft AND much more effective for cleaning your baby up. 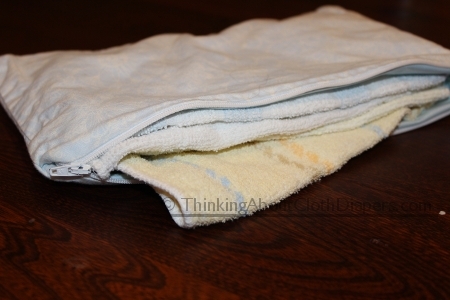 Cloth wipes can be washed when you are washing cloth diapers and are a great way to save money. Read more in our article here. Many cloth diapering parents comment later on that they wish they had discovered prefold diapers sooner! Combined with a quality cover, prefolds can be a wonderfully simple and inexpensive diapering system.